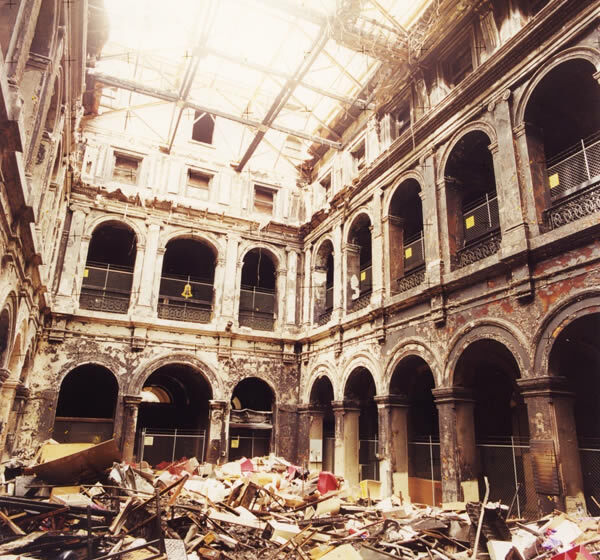 After a fire at the GPO on September 12, 2001, destroyed the old mouldings and ceiling structure, our brief was to re-create the main postal hall ceiling and plaster mouldings to their former glory. 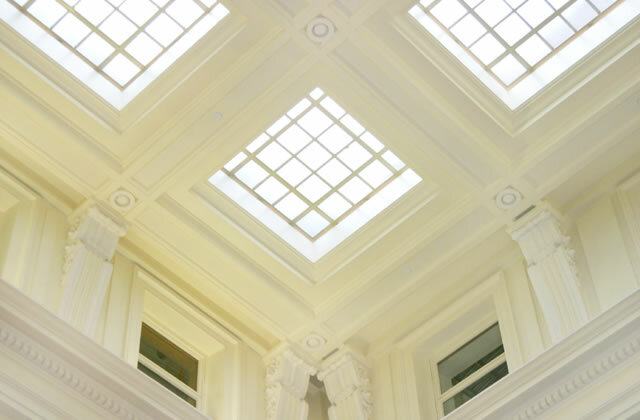 We supplied, delivered, and installed a complete system of plasterglass ceilings, feature ceilings (including cornices, corbels and intricate mouldings), and designed and installed the structural support framing for the ceiling suspension system. 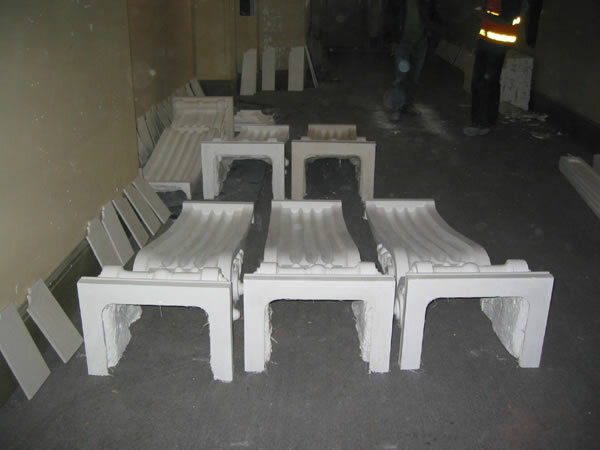 From the outset, our major difficulty was the moulding process, due to the extent of damage caused by the fire. There was very little left to take moulds from. 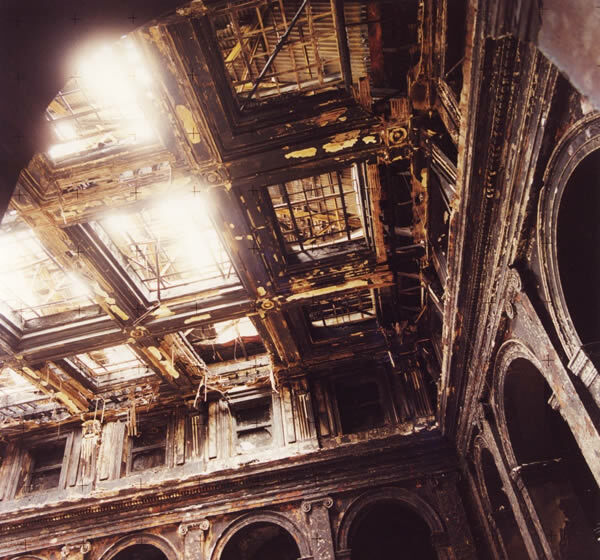 250 digital photos were taken after the fire, from which we formed a clearer understanding of the profiles required. 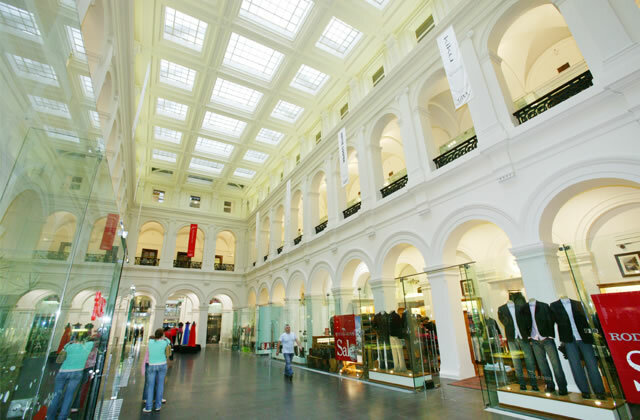 Shop drawings commenced in June 2002. 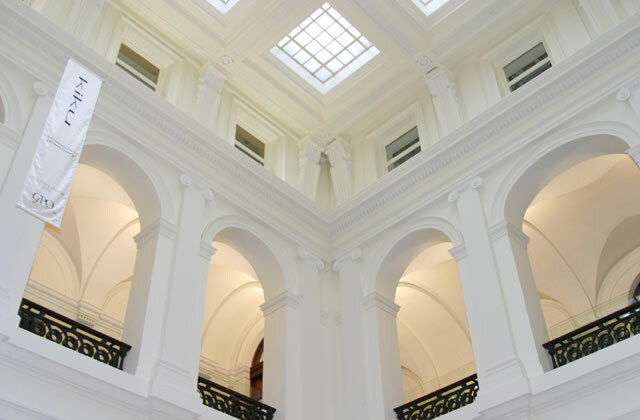 Replicas of the old mouldings were drawn up in consultation with Heritage Victoria and mould-making finally commenced in August 2002. 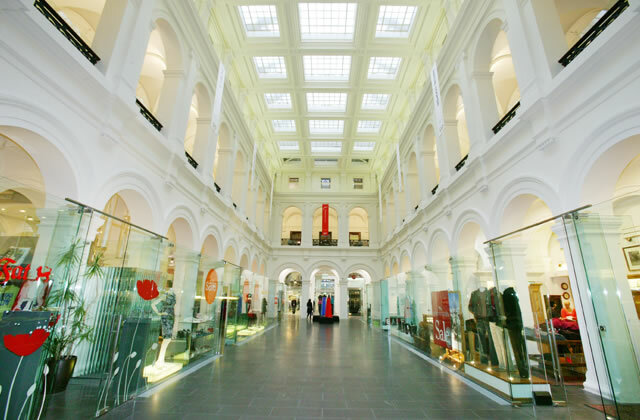 Each required inspections from Heritage Victoria before casting could commence. 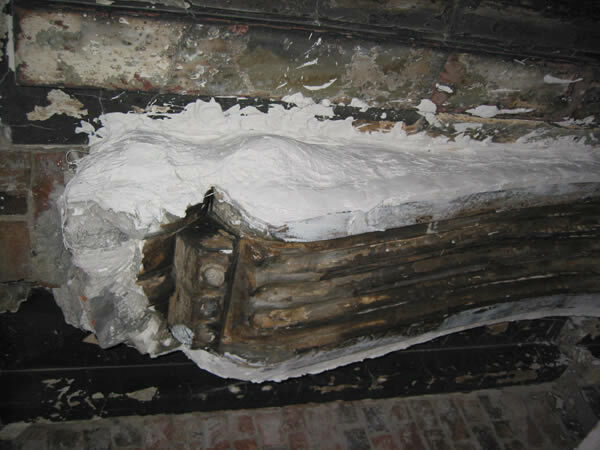 The most difficult moulds to re-create were the 2.0 metre high corbels, due to their elaborate detail. 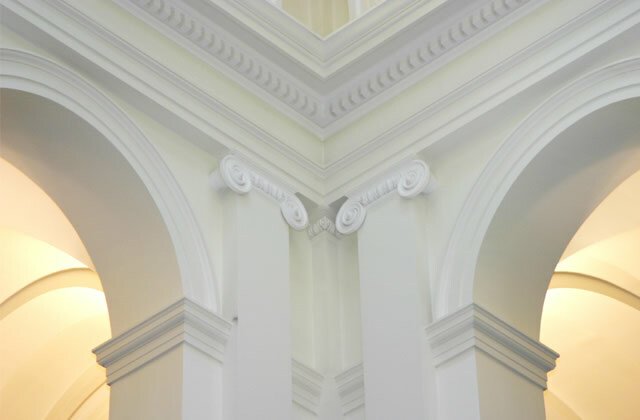 Clay mouldings were made for roses and other intricate detailing, carried out by expert carvers to Heritage Victoria’s satisfaction. 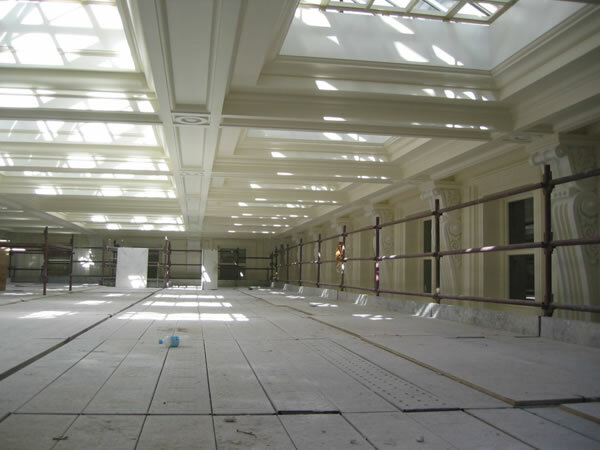 Whilst moulding took place, Upgrade Commercial Interiors designed the support system in the main postal hall ceiling. 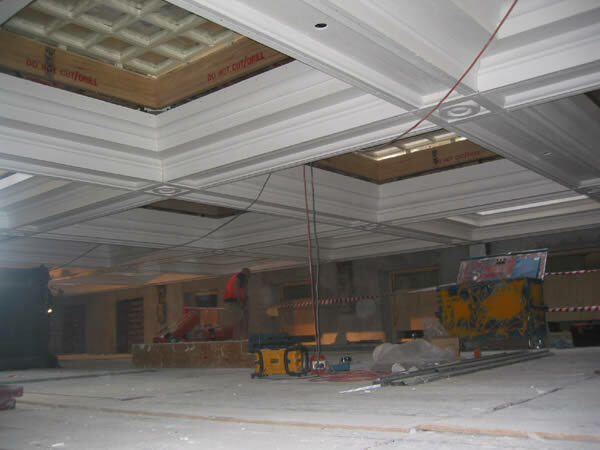 This consisted of cornices approximately 1200mm wide and 750mm deep, forming 30 skylight openings and junctions consisting of plasterglass bosses. 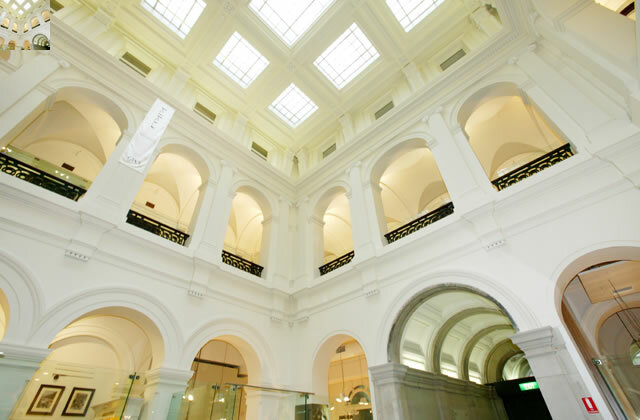 The best way to support larger and intricate mouldings was laser cut steel, profiled to match the cornices. To ensure accuracy a laser cut frame was also provided to the moulding crew. 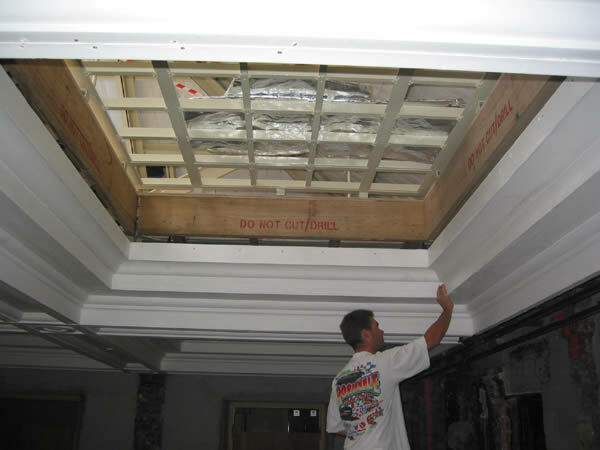 This proved invaluable as it ensured a perfect fit once installation of the cornices commenced. 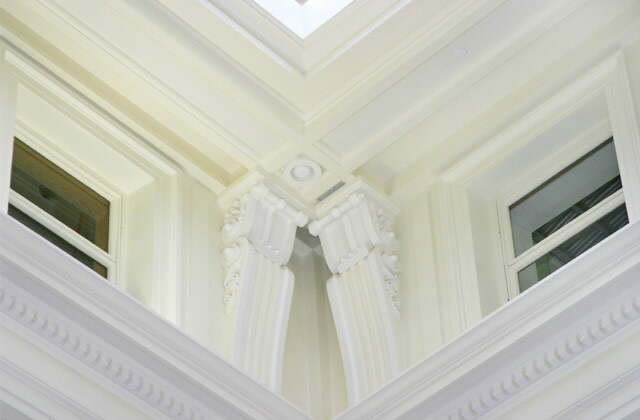 Forming a mitre cut on one end of all cornices in the moulding stage saved valuable time by eliminating the set-out and cutting of 120 mitres. 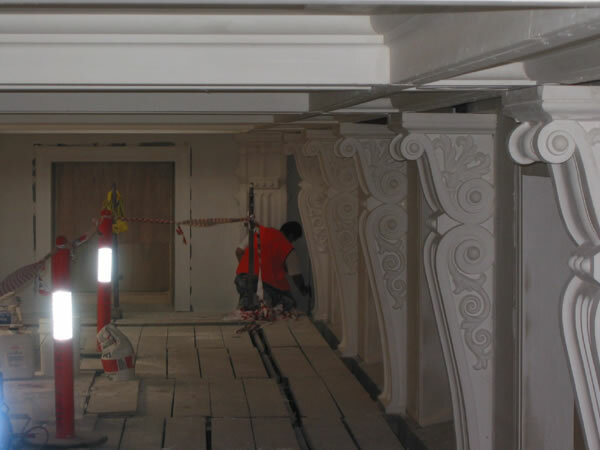 Laser cutting M.D.F profiles to match the front face of the cornice. 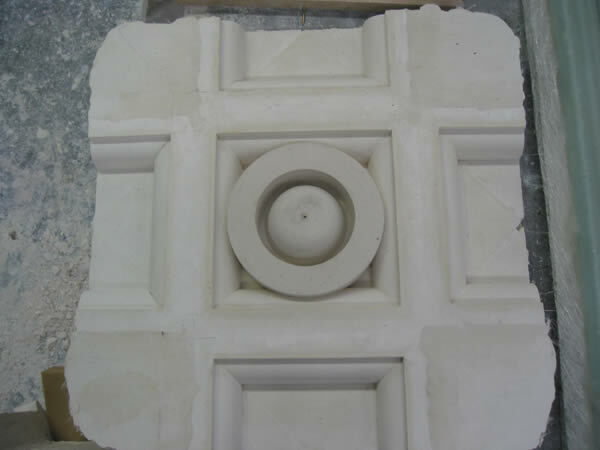 These profiles then supported the cornices on site for measuring and cutting of mitres. 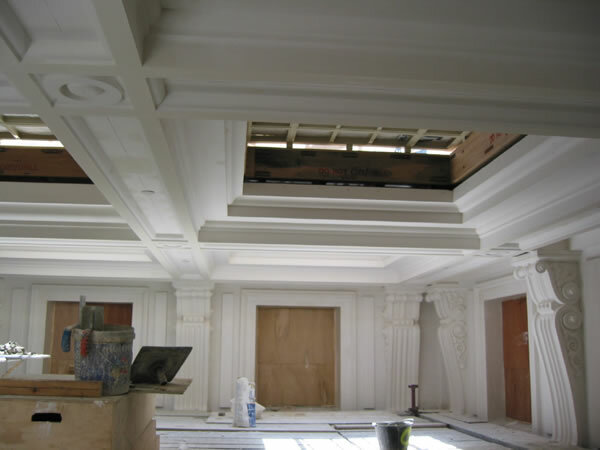 Installation of all 120 cornices was completed in 11 days. 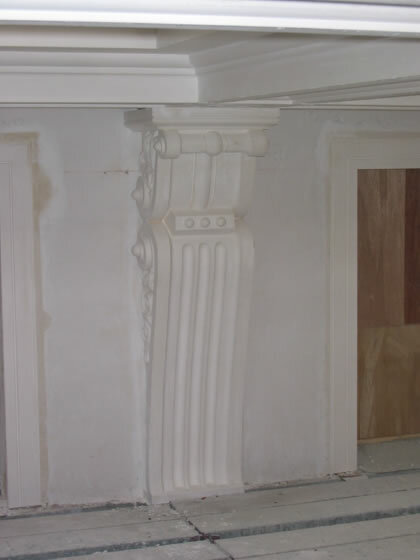 Forming scribed mitres to all four sides of the bosses, reducing time spent on site. 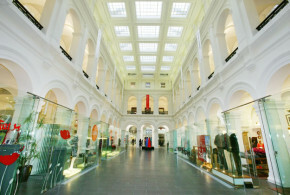 Installation commenced in November 2002. 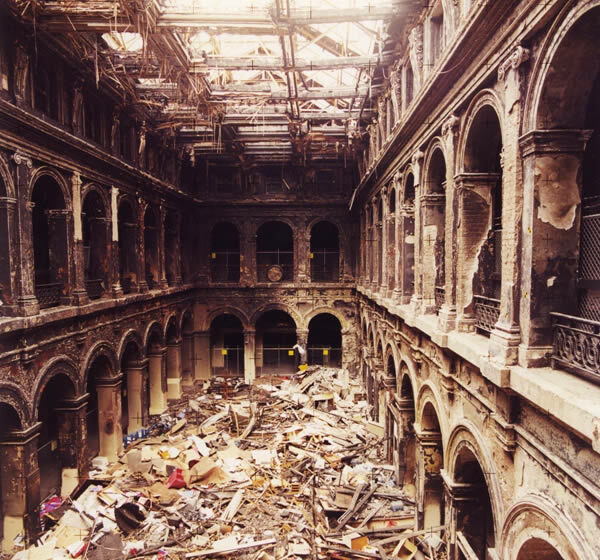 The first target set was the completion of the postal hall ceiling and clerestorey areas, by the end of 2002. 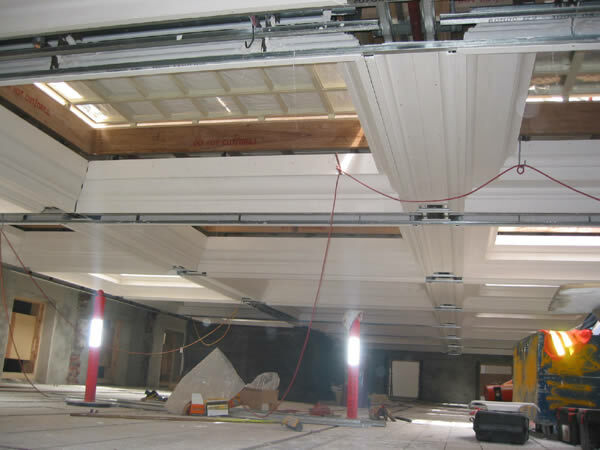 The preceding four months of planning proved invaluable, with the installation of laser cut steel frames and furring channels being completed in the first 8 days. 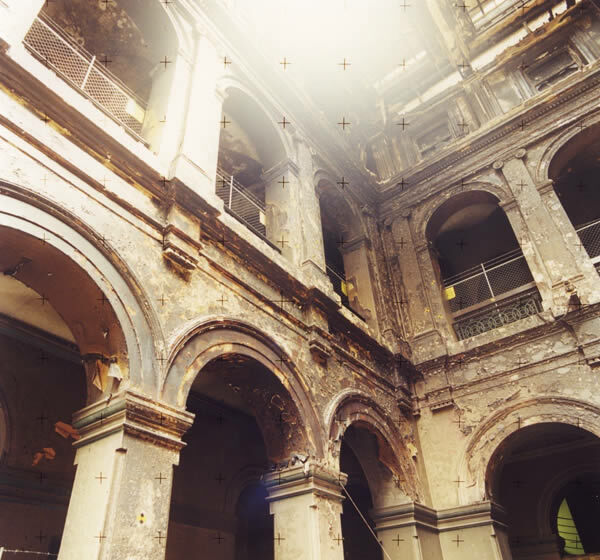 After this, we undertook the installation of cornices and bosses. 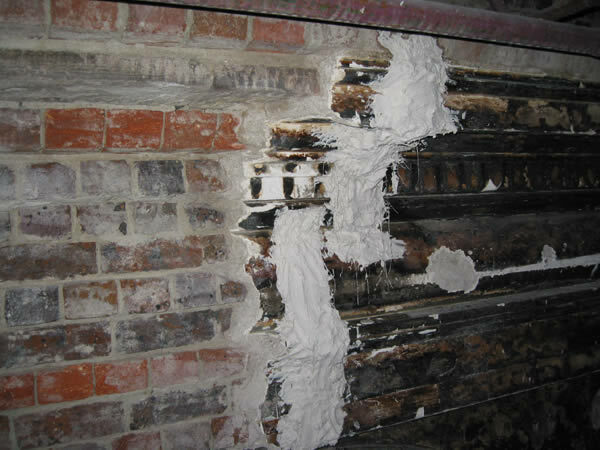 This involved scrimming the back of all moulds to prevent cracking and movement. From there we moved on to the corbels, window architraves and feature blocking pieces between windows. All of the above work was completed by only 3 men to an exacting standard and was finished at 4pm on the last day of business 2002 — an achievement we were all extremely proud of. 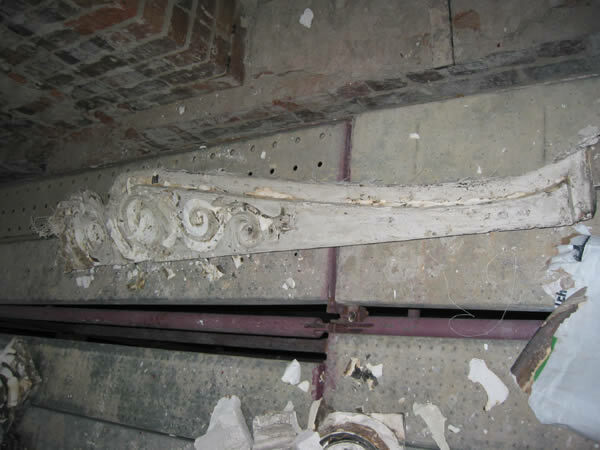 We returned in Mid January 2003 to commence work on the triforium mouldings our target date was Easter 2003. 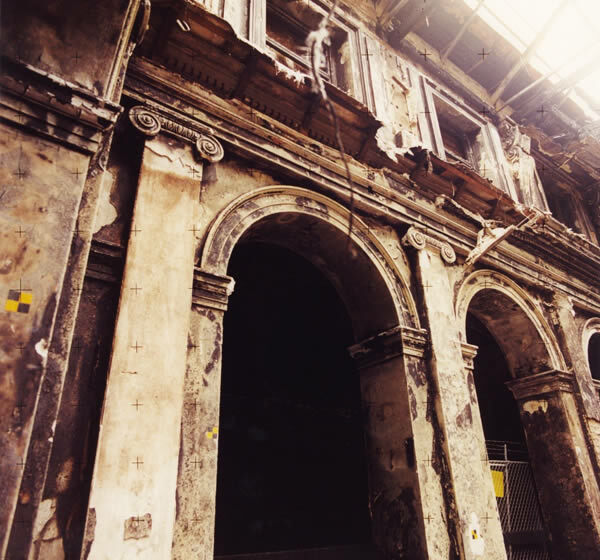 The first job was to install the large dental string moulding which involved custom making of plywood profiles to the south end of the postal hall where it had been discovered that early in the 1900s an original stair had been removed and walls which ran from floor to ceiling a distance of some 15 metres where also removed which had the effect of lengthening the postal hall by 6 metres the problem being that the perimeter walls left standing where misaligned by 300mm from the rest of the postal hall thus requiring frames to be custom profiled to extend out to align all of the mouldings each frame being a different shape owing to the differing profile of the bricks behind. 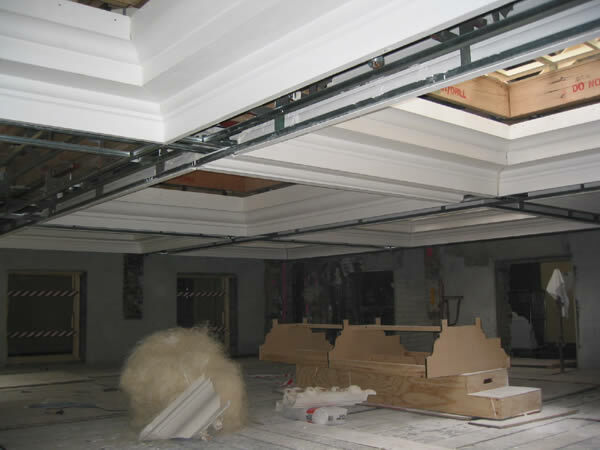 Our works than continued downwards to install the 30 No. 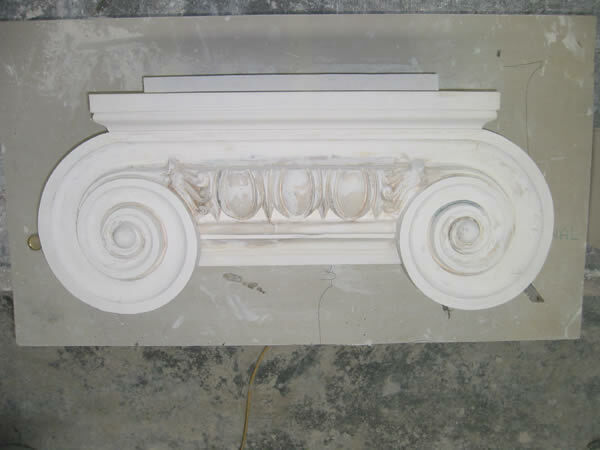 larger pilasters C/W period capitals and bases, Arch mouldings and smaller string mouldings all of our works again completed by our target date.